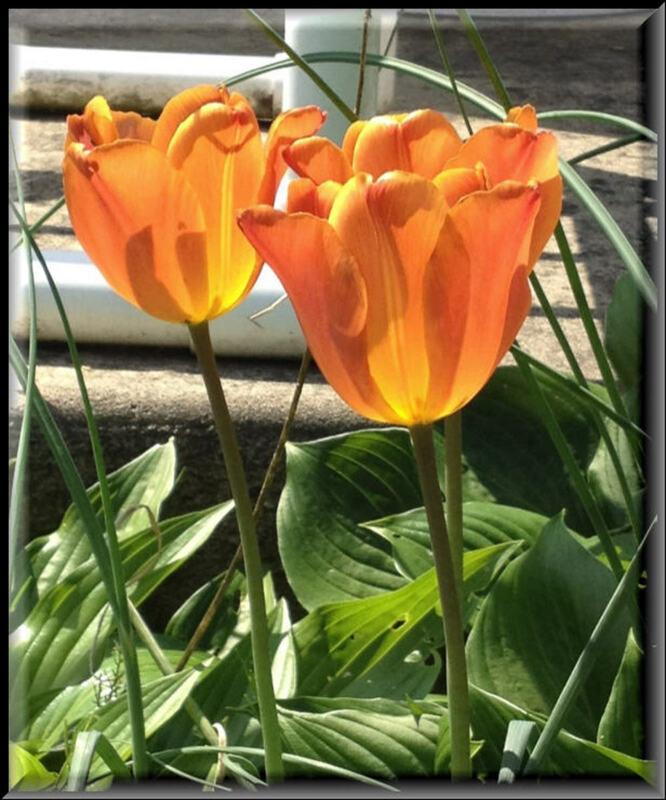 Eugene is an avid gardener and has been passionate about growing things for nearly 40 years. He also has a keen interest in DIY. 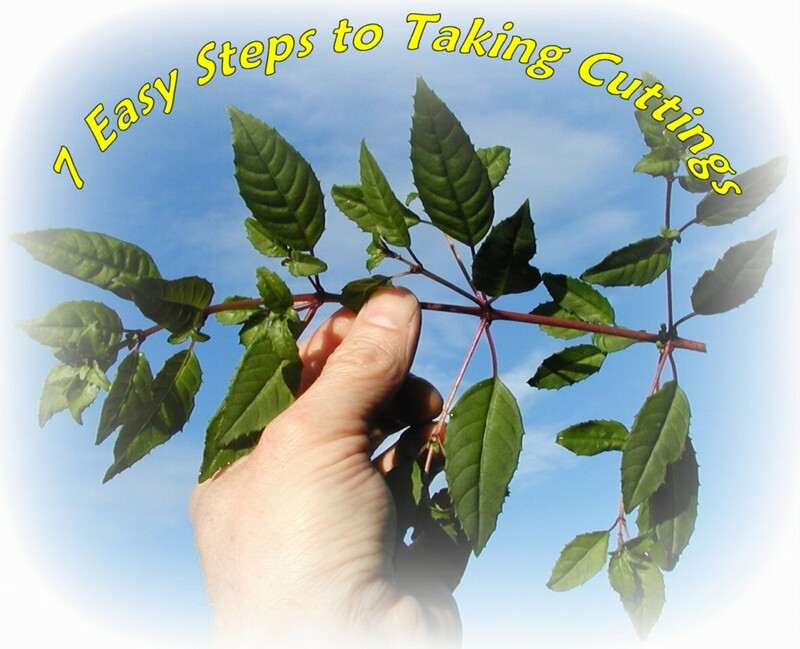 There's more to planting a tree or shrub than digging a hole and plonking it into the ground. Some plants aren't the least bit fussy and will tolerate this, but most trees and shrubs will benefit from a little care. If you plant your trees or shrubs properly, you will ensure that they will have a good start in life and become established quicker. The ideal time for planting trees and shrubs is the fall/autumn or early spring. Potted plants are less fussy since the root ball is undisturbed during planting and roots are eager to spread out. 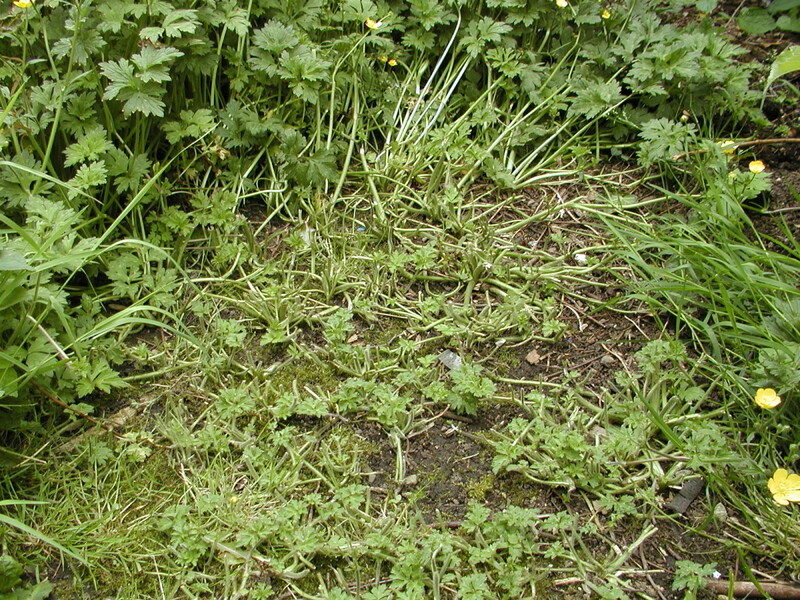 Bare rooted plants, however, have very little soil surrounding them and the plant can rapidly dehydrate, especially if planted in summer. This is because moisture is rapidly lost through the leaves and not replaced because the roots don't make good contact with the soil after planting. It is essential to dig up as much of the root ball as possible. 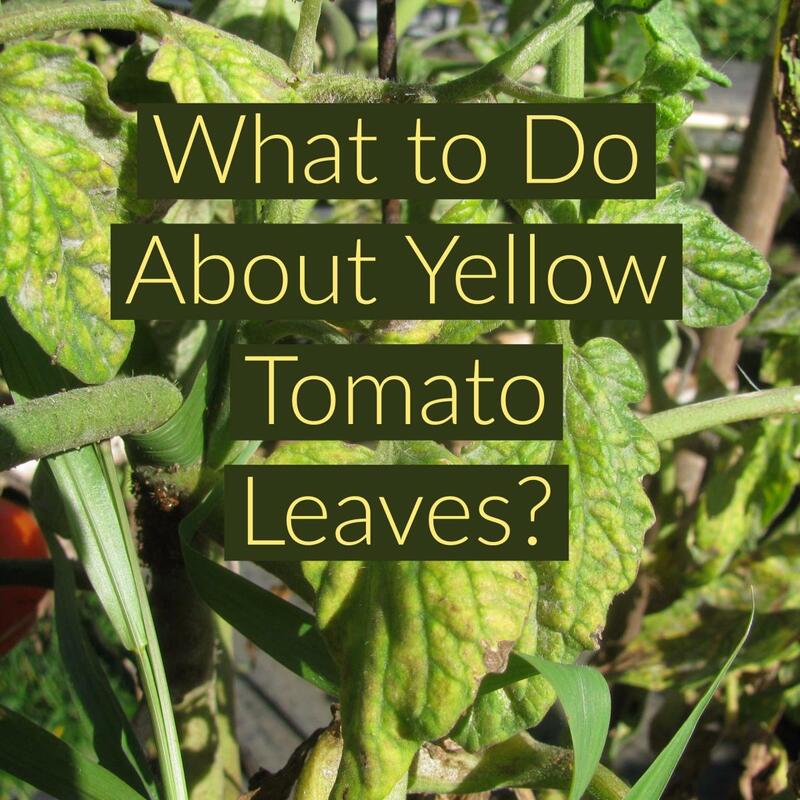 Again, the best time to do this is in the fall when the plant is entering a dormant state, or in the spring when it is coming out of dormancy. Decide on where you want to plant. Will the tree or shrub eventually become huge, blocking light, causing an obstruction to driveways, dumping leaves everywhere, and possibly becoming a hazard to foundations of buildings? Choose a location accordingly. 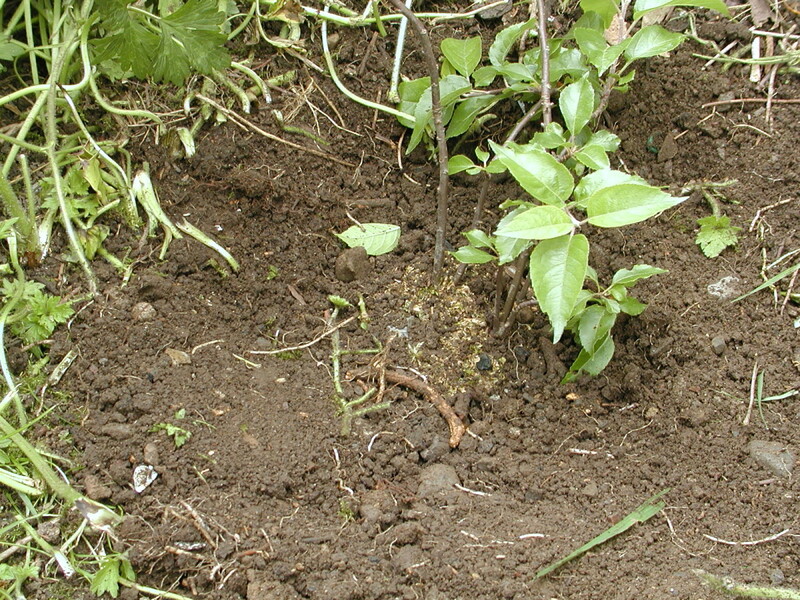 Don't plant after a wet spell because the soil is likely to be muddy and it will be difficult to fill back around the root ball. Also it is uncomfortable and messy to work in these conditions with mud sticking to your shoes or boots. An apple tree gets lucky after having been stuck in a pot for years! If there are weeds, grass, or flowers in the spot where you intend to plant, hoe them to oblivion! 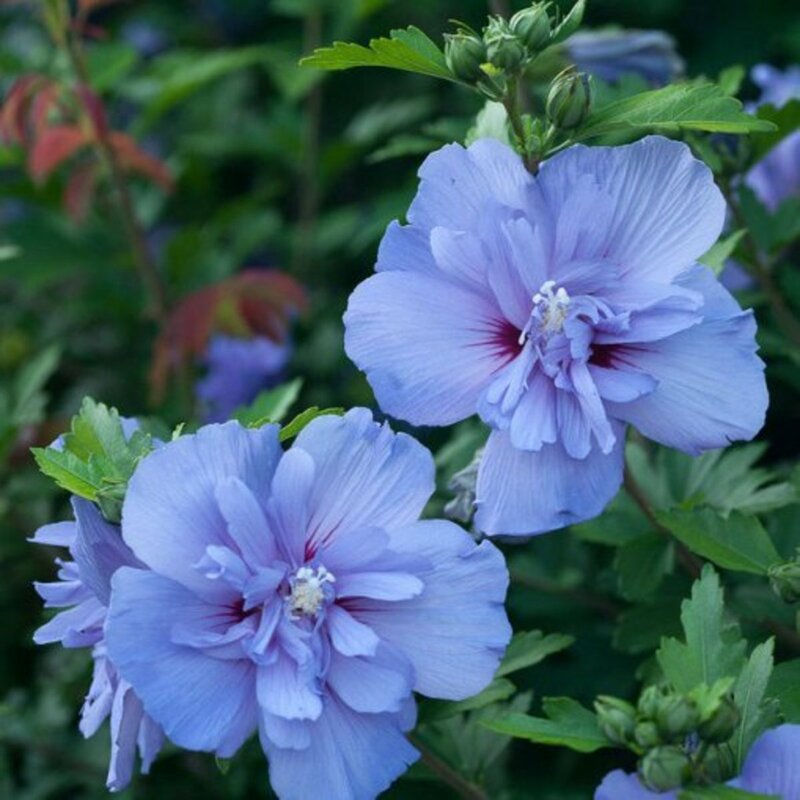 These plants will compete with your new tree and soak up moisture and nutrients from the ground. 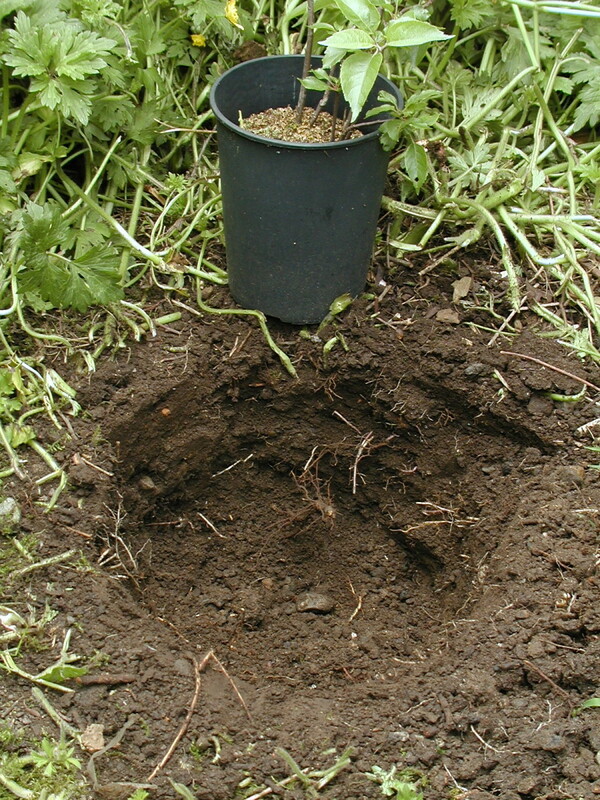 The hole ideally should be at least double the width and depth of the root ball of your plant. 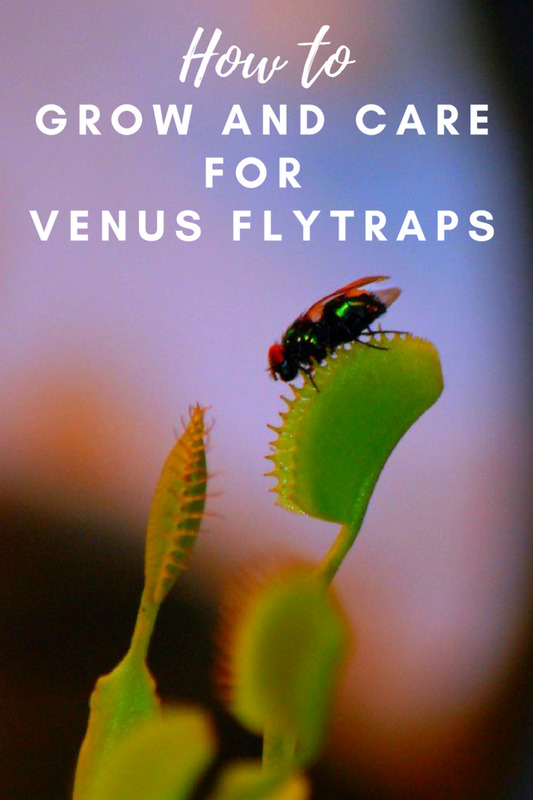 Don't just make it the diameter of the plant. The reason for this is so that the space around the plant can be backfilled with compost/soil. This mixture is loose and aerated so roots can penetrate into it more readily. If the roots just make contact with the solid walls of the hole, they will find it more difficult to spread and get established. The aim is to surround the root ball with a soil/compost mixture. Fill the bottom of the hole with a layer of compost, at least a few inches. You can use homemade compost on its own if it contains some soil, a 50/50 mixture of compost and soil, or mix peat moss and soil in equal proportions. 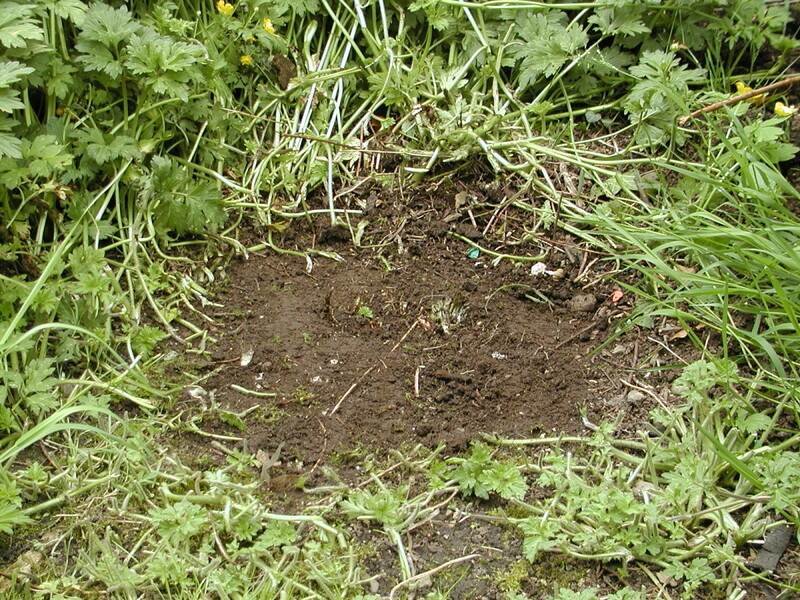 The soil/dirt from the hole can be used unless it is of poor quality will lots of rocks, stones, and sand. 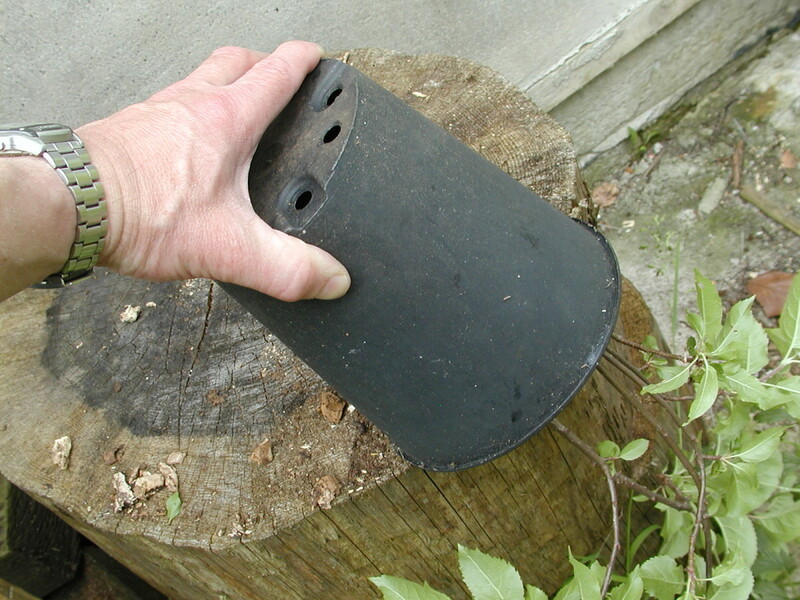 Turn the plant upside down and tap the rim of the pot on the edge of a firm surface. This removes the plant easier than by just pulling on the crown or stem to get it out of the pot. Center the plant in the hole. 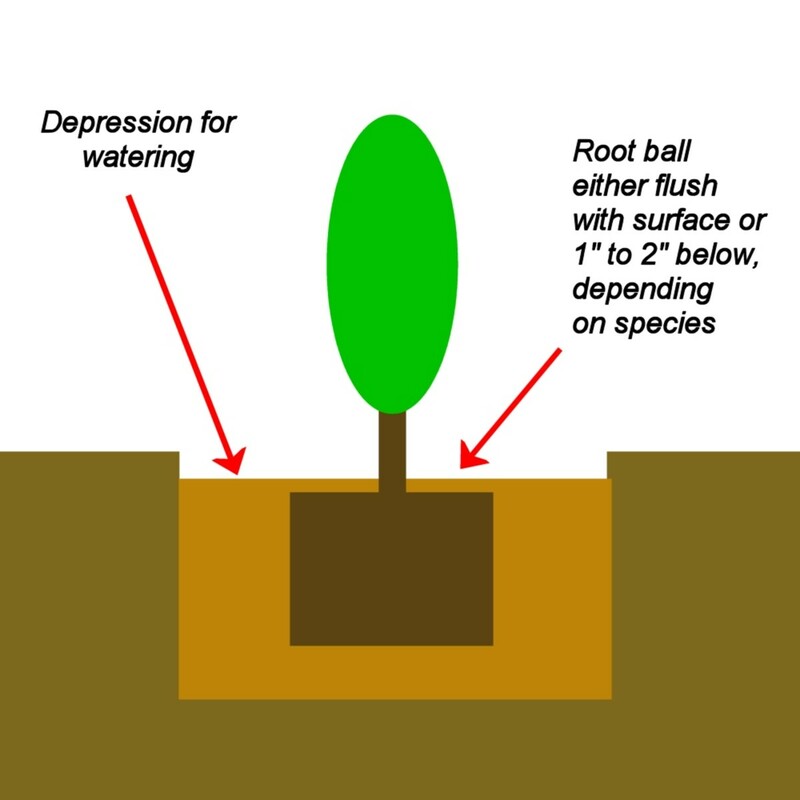 The top of the root ball should be somewhat lower than the surrounding ground so that when the hole is backfilled, a depression is left where the water can collect. 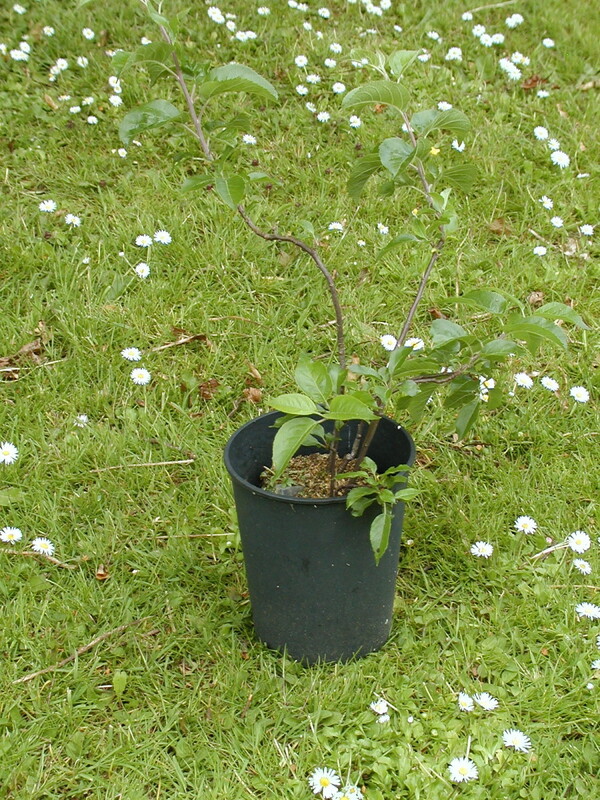 Finish by filling around the plant with a mixture of compost and soil. You can add a sprinkling of granular fertilizer to the mix but don't overdo it because it could burn the roots. Pat down with your hands, shoe, or a piece of timber. 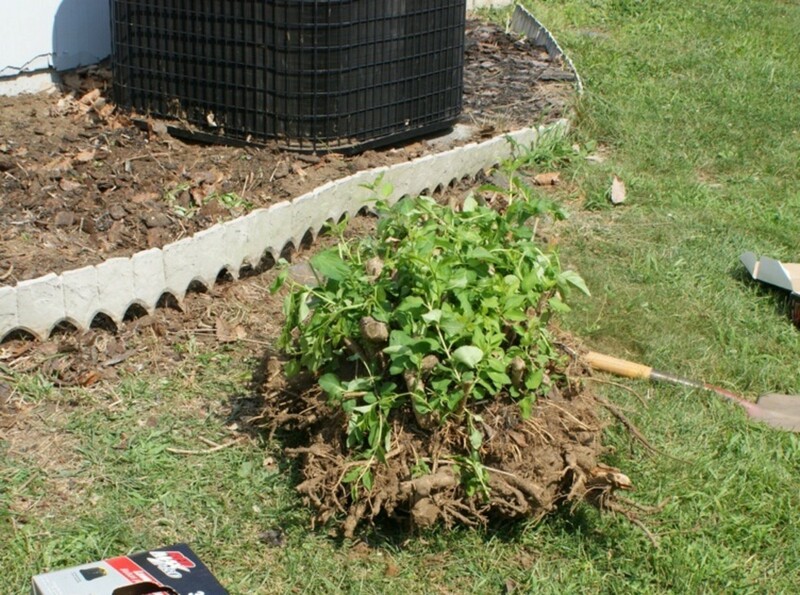 Keep the surface of the root ball either flush with the surrounding ground or about 1" or 2" below. Roses should be covered with about 1" of soil to keep the bud union below ground. Whether to cover or not depends on species, so check online or any planting instructions that came with the plant. Try to end up with a depression or bowl effect as this will allow you to water the plant without the water running away. Give the plant a generous watering. A gallon should be sufficient. Continue to water every few days if it's summer and weather conditions are very dry. 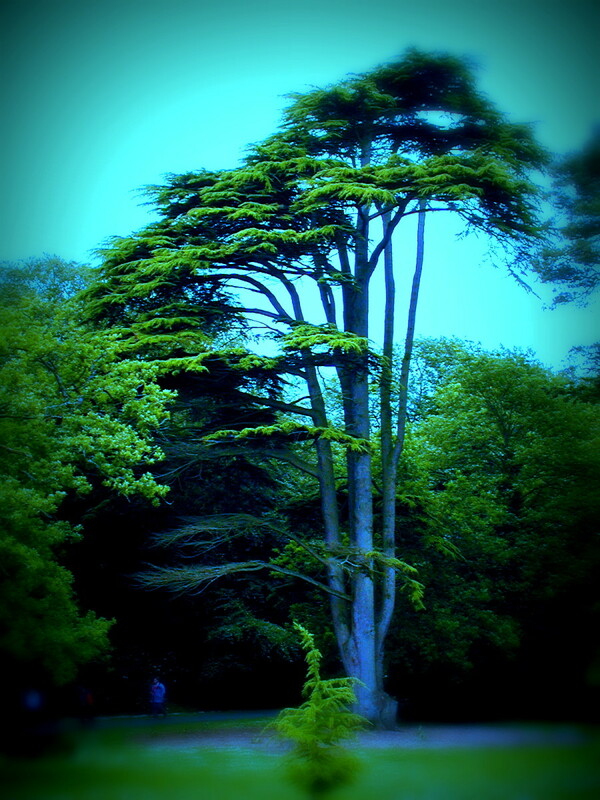 Trees can also dry out in prolonged cold or dry conditions when the humidity is low and it is windy. Snow prevents water penetrating to the roots, so watering may be necessary. Can I plant shrubs in clay? Yes, but it's a good idea to improve the soil first before planting. Clay can retain a lot of moisture and have little drainage, and if hard packed, it can be difficult for the roots to spread out into it. If the ground is very clayey without a granular texture and not dark brown in color (which normally indicates the presence of organic matter), dig out an area about three times the diameter of the root ball and mix what you dig out with homemade compost or potting compost. Then backfill into the bottom of the hole and around the root as shown in the diagram above. How do I properly place a border around my new tree? You don't need a border around your new tree, but to stop grass soaking up moisture, you can apply glyphosate (Roundup) in a circle around the trunk. Wait for a few years before you do this until the crown of the tree rises because it's very easy to get weedkiller on the foliage when it's near the ground. You can also cut out the top few inches of dirt around the tree at a distance of 1 to 2 feet, leaving a "cliff" effect, then apply mulch, stone, bark or just leave the soil bare. 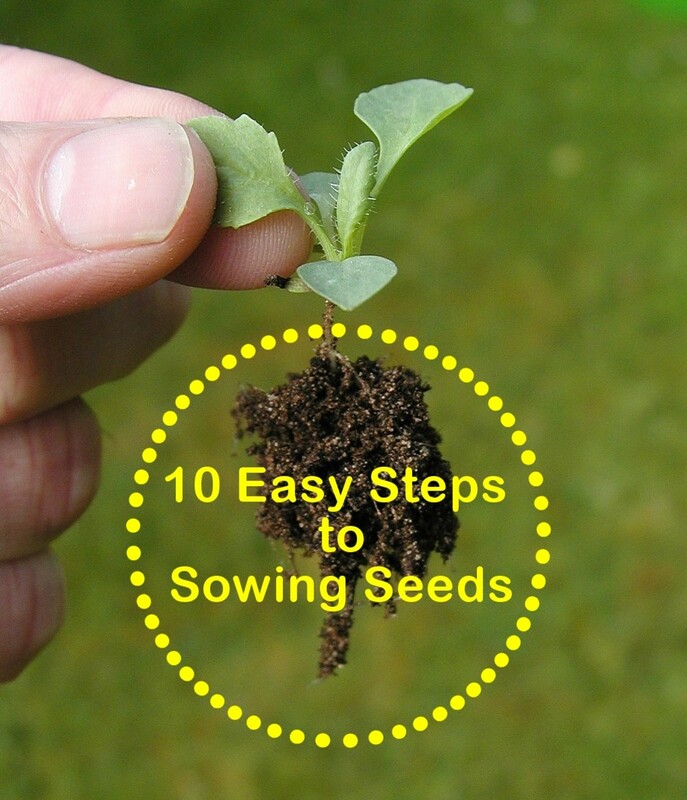 See this guide for details on edging. Not sure about putting root crown below ground level? 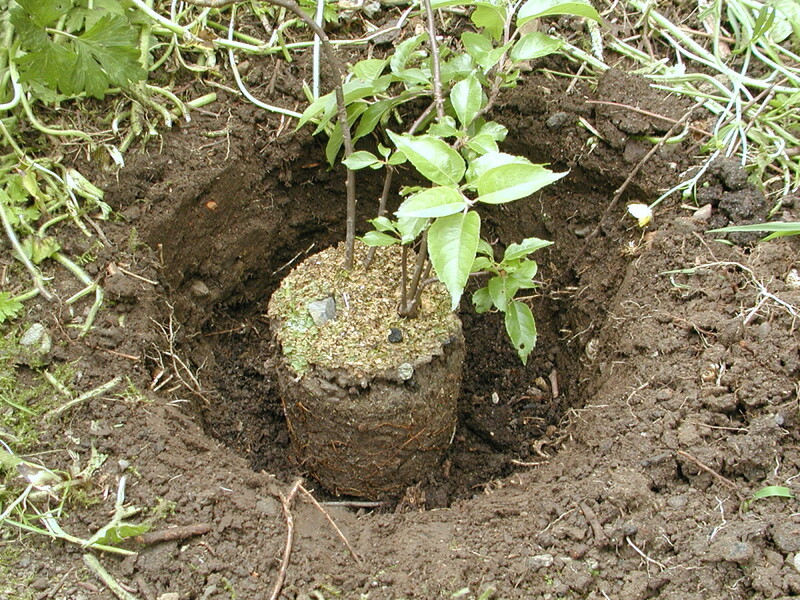 Most tree planting website advise 1-2" above ground level. Thanks livingsta for the comment! Like I say, the best time to plant is in the autumn. However planting potted plants in summer is ok, (even during this heatwave we're having!) if they are well watered. Interesting information for beginners who wish to know the correct procedure for planting trees. Thank you for sharing with us. Voted up and sharing!